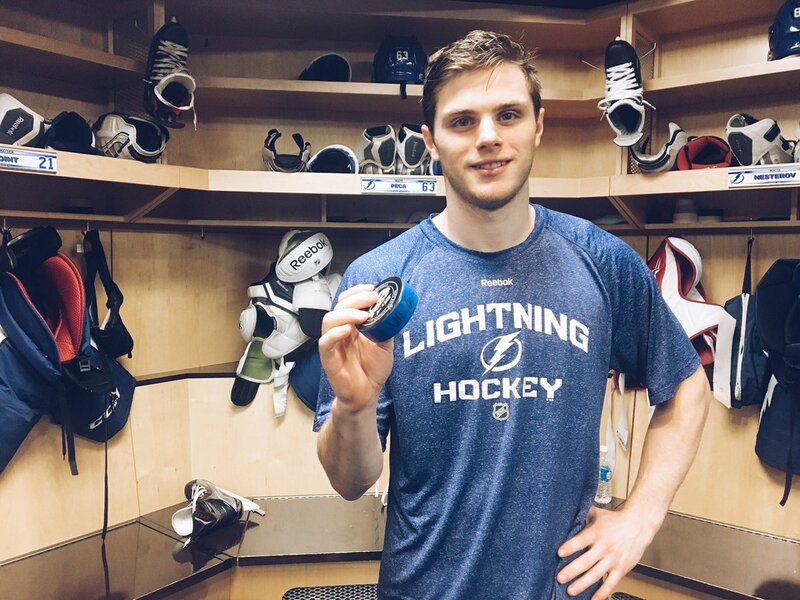 Former Quinnipiac Bobcat forward Matthew Peca (2015) scored his first career NHL goal on Tuesday in the Tampa Bay Lightning's 6-4 loss to the Winnipeg Jets. Peca took a blue line to blue line pass from Vladislav Namestnikov where he skated to the top left circle and sniped a wrist shot to the far corner past Winnipeg's Connor Hellebuyck for the goal. It was a shot that Quinnipiac students, alums and fans have seen from him in the past. Peca now has points in his last two games as he had an assist on New Year's Eve against the Carolina Hurricanes for his first NHL point. With his first NHL goal in the books, I expect we will see more of this from Peca for the Tampa Bay Lightning as he becomes more comfortable in the NHL. Last night he logged the second most minutes from the Tampa Bay forwards in only his fourth NHL game. He is seeing consistent time on the ice as he has the ability to play in all three zones. Peca also won 50% of his face-offs on the night. Below are the links for the video to Peca's first NHL goal and his post game interview.